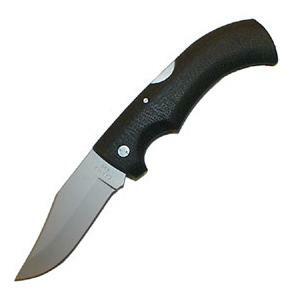 The Gator features a 3 3/4" high carbon stainless steel blade, Kraton / Zytel handle and a black balistic nylon sheath. Overall open length 8 3/4". This item is no longer available. Please use the site navagation to find a similar product.